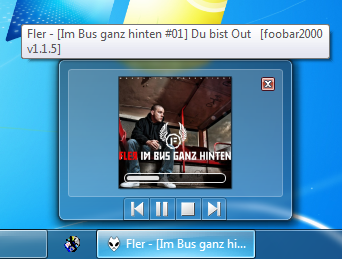 Windows 7 Shell Integration – This component enhances the preview window in Windows 7 with play controls, progress bar and album art preview. Very similar to the feature in Windows Media Player on Window 7. Discogs Tagger – Automatic ID3 tagging using discogs.com. Audioscrobbler – Last.fm audioscrobbler. Sends information about currently played songs to last.fm.